Characteristics : """Excellence in Product Design Award"" at New York International Gift Fair 2011 - Formland Design Award 2011"
At the cutting edge of good design... Excellent functionality and clean, stylish lines. Stelton presents an elegant knife series for serious gourmets who are as daring in their style as they are in their cooking. Pure Black knives are forged from one piece of stainless steel so their handles morph effortlessly into their blades. 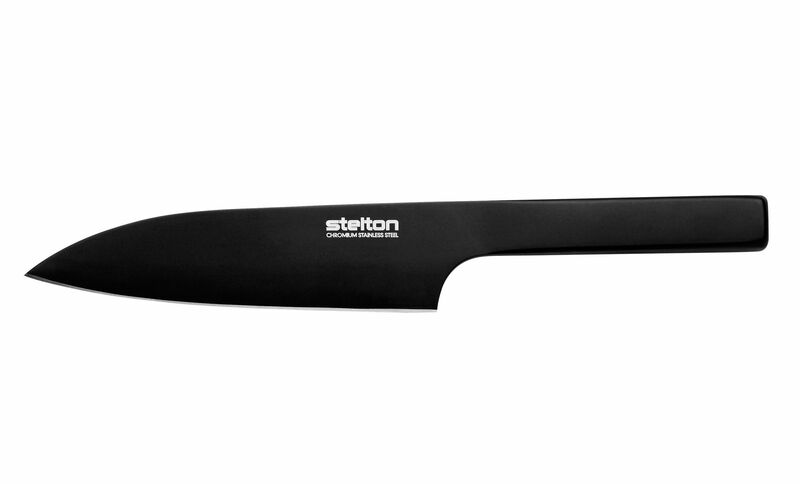 The straightforward design and special coating make the knives very hygienic and easy to clean. At the same time, the matte black coating provides a superb grip and evokes thoughts of fine cooking, beautiful cuts and gourmet dinners. A perfect gift for those who enjoy beautiful and stylish design in the kitchen, especially for those who appreciate their tools and want the very best. The Collection Pure Black was awarded in 2011 (Reddot design award 2011, Excellence in Product Design Award at the show New York International Gift Fair 2011 and Formland Design Award 2011). 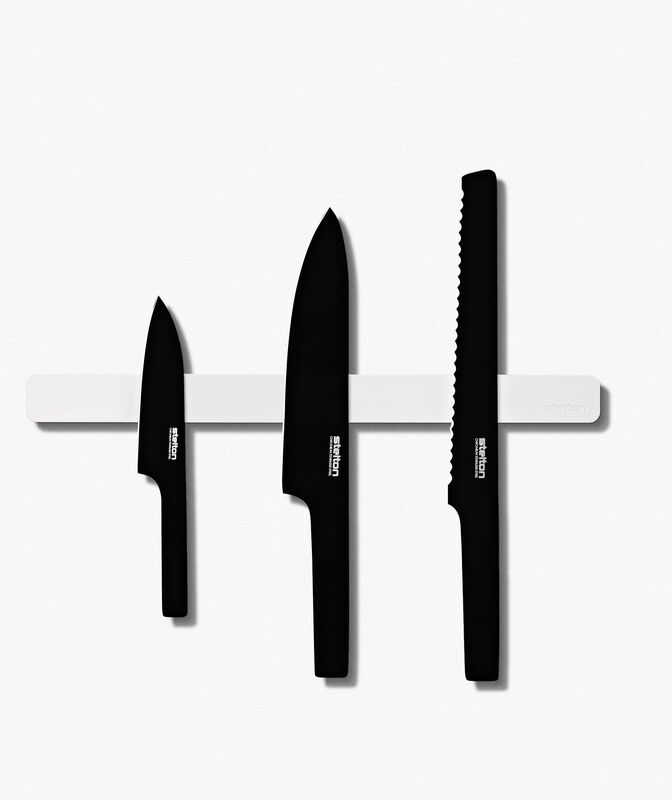 The collection includes a large chef's knife (34.3 cm), a small chef's knife (23.7 cm) and a bread knife (37.4 cm).